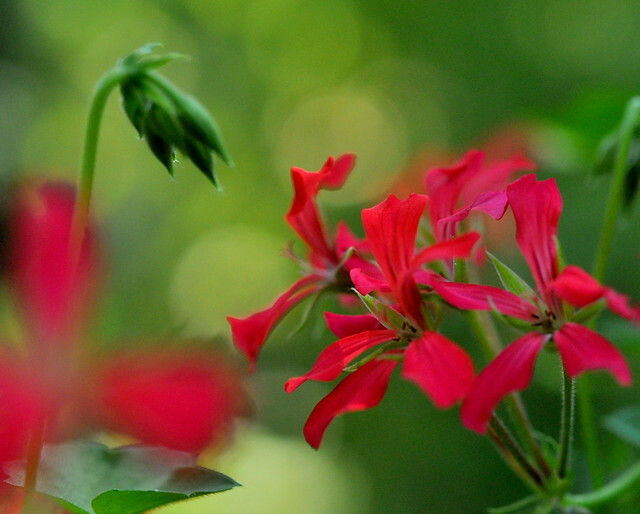 I’m doing a photo-a-day project on Flickr, and two out of the last three photos mainly consist of the colors green and red…. 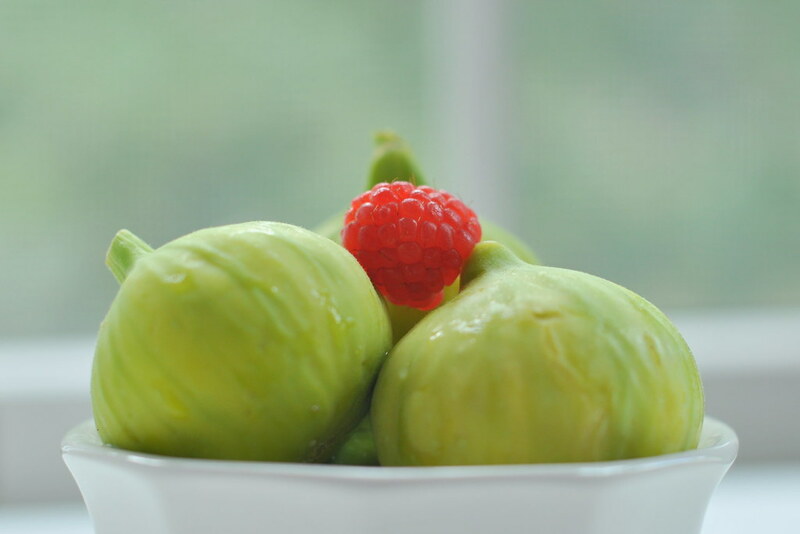 This entry was posted in photography and tagged bokeh, fresh figs, raspberry, Swiss balcon geraniums, white bowl. Bookmark the permalink. Carole, I love figs too. If you’d like a rather unique way to serve them to guests, try this recipe (http://www.canadianliving.com/food/figs_poached_in_spiced_red_wine_with_mascarpone.php) and serve it up on your best pedestal plate! It was a huge success last time I made it … the way I love food … simple and gracious. Oh, does that sound good! Cheryl, this is first time in decades that I’ve seen figs like this in the grocery store. Did you use the more common brown figs? Yes … the brown figs. I made this dish in December and they were all I could find in the market. Poaching in red wine really enhanced the flavour. It disappeared from the pedestal plate before I barely got a taste! Don’t think I’ve had figs before, but they sure do look delicious in this photo! Great color! I love red and green together. And I like figs a lot as well. We can buy them here but rather those with the dark purple skin. We can find those occasionally, but they’re so perishable, the season is really brief. There’s a Brown Turkey fig tree where I walk, and the owner put up security lights because people were stealing them! He had a security camera too, but only for a few days. I’m a big fan of figs also! Don’t think I’ve had these green kind. Usually the ones I find are brown. Do these green ones taste different? They’re actually supposed to be a soft yellow, so not completely ripe yet. They get really soft when yellow and nearly melt in your mouth. I think they’re a lot better than the brownish-purple ones. Like strawberry jam. I don’t think I’ve ever seen a fig. Love the colors! The red color inside is beautiful too. The raspberry almost looks transparent.